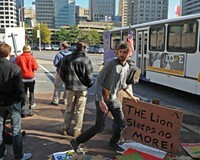 A few dozen protestors make the 1-mile trek from their tent city in Kanawha Plaza uphill to City Hall. They crowd into the front row of City Council chambers, ready to hear the fate of a resolution sponsored by Councilman E. Martin Jewell. Will his effort pass, allowing their encampment to stay, unencumbered by legalities? Or will they continue a delicate dance with police and elected officials? Mayor Dwight Jones so far has been watching without stepping in, and council members aren't sure what to do. In the end, they say they need more time to contemplate the consequences, and take no action on Jewell's resolution to support the protest. During the vote, the protestors turn their hands downward, silently wiggling their fingers back and forth in a show of disapproval. Afterward, a gangly man with a graying shock of beard hops into an elevator along with a group of other, younger occupiers. In a movement that proudly rejects the notion of having leaders, Farid Alan Schintzius, 63, likens himself to a mentor. "We didn't win anything," one protestor complains. Schintzius, the de facto spokesman for a group that has yet to choose one, addresses the situation quickly. "This is Richmond," he intones. "Keeping them from coming in and cracking heads, keeping the conversation civil — is winning." 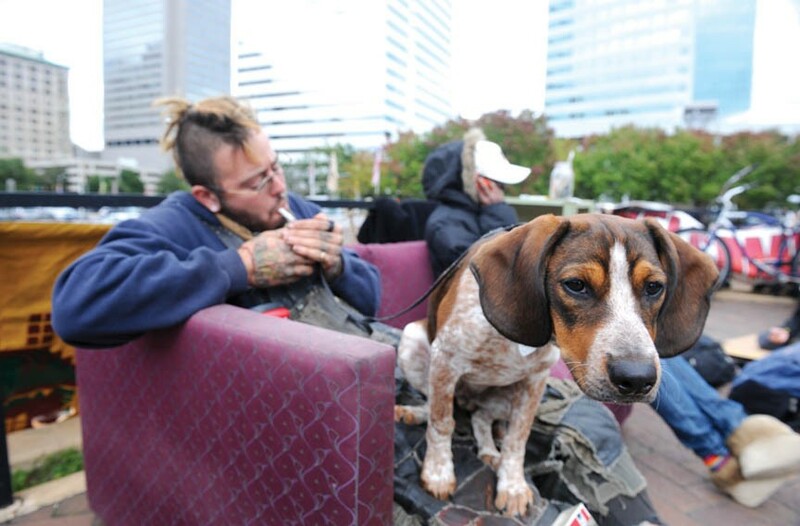 For Occupy Richmond, perhaps the most important thing is time. 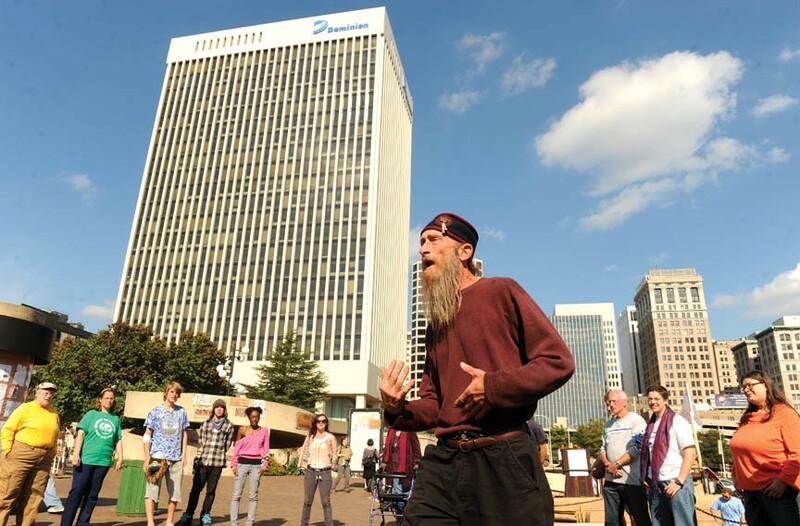 It's at the center of every decision, discussion and question about the protest that descended on Kanawha Plaza in the heart of the city's financial district. 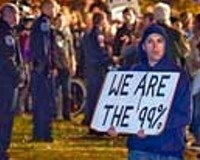 When would protestors be satisfied that their message made a difference? 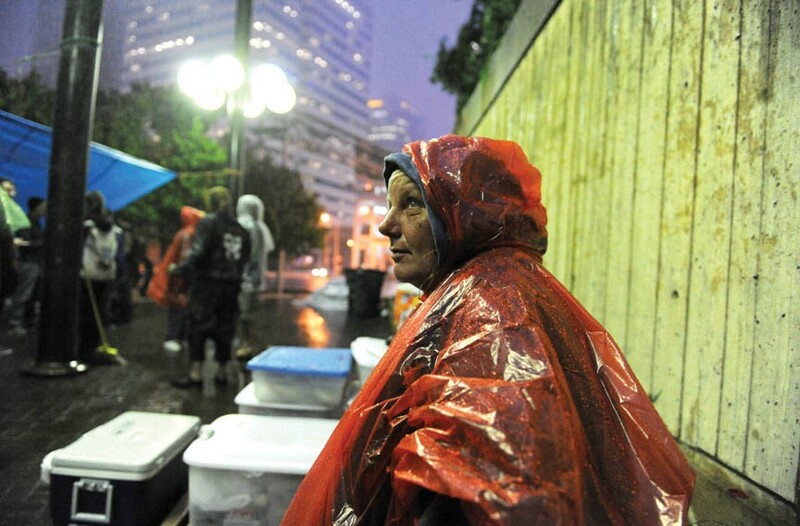 And how long would they stay in tents, sleeping alongside homeless people in downtown Richmond? Protestors acknowledged the uncertainty even as they made plans to bear down for the inevitable cold weather. They racked up 15 nights in the plaza. 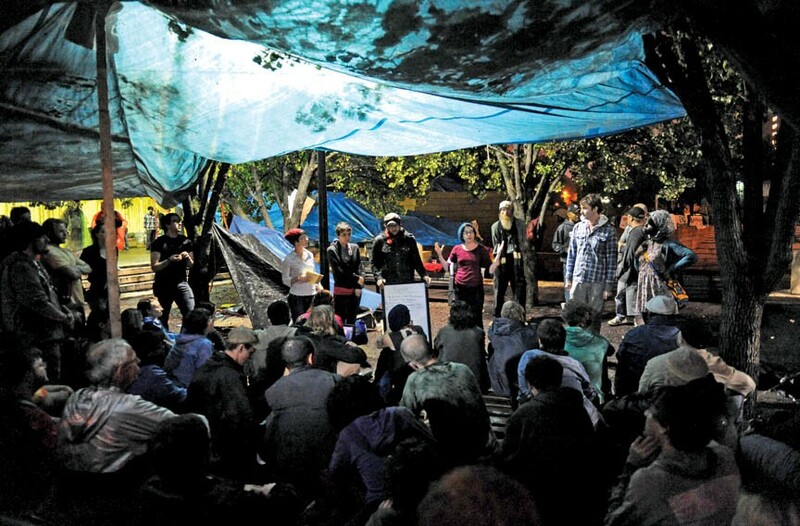 Police made several visits, informing protestors that the encampment was illegal unless they obtained proper permits. 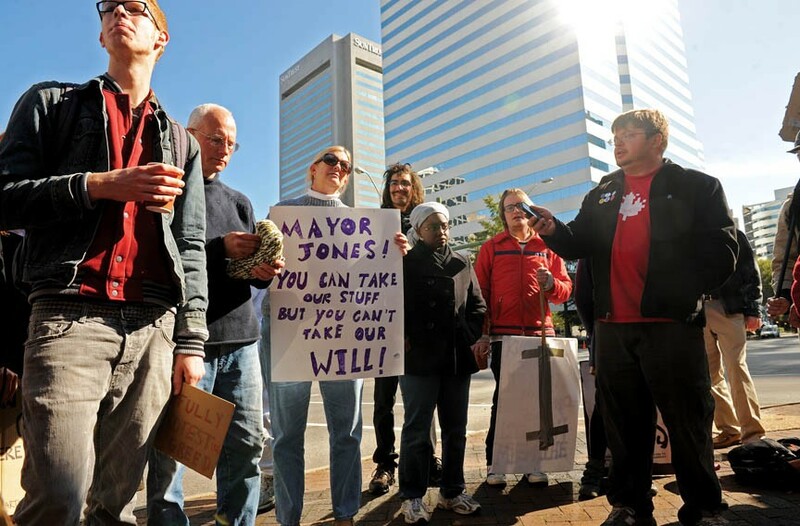 Three days after that City Council vote, Mayor Jones visited the encampment last week. He invited representatives from the group to meet with him, explaining that the city's tolerance for the protest was waning. Early on Monday, around 1 a.m., their time ran out. Dozens of uniformed and mounted police officers arrived, protestors say, forming lines on the sidewalk and streets surrounding the plaza. Campers inside the park were told they had an hour to collect their belongings and leave before the encampment was bulldozed. 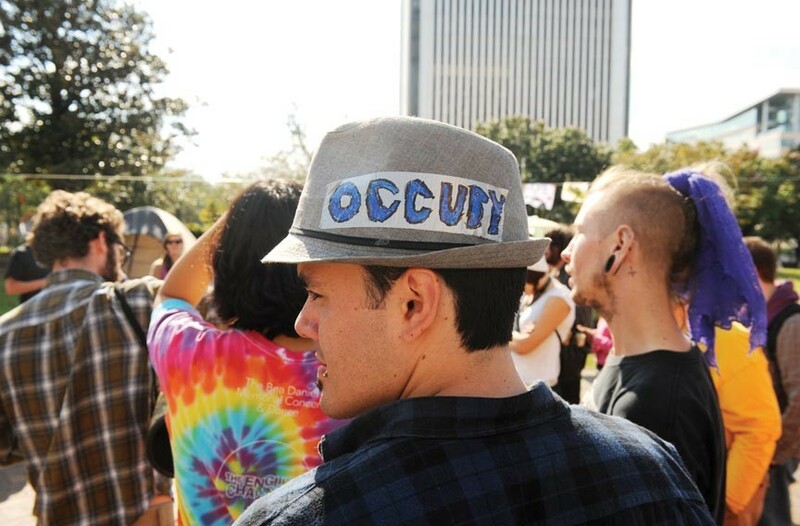 Will Carino, a member of the group's media team, says that as the occupiers and homeless filed out of the park, police and city workers began placing tents, supplies and whatever the protestors couldn't recover into garbage bins. 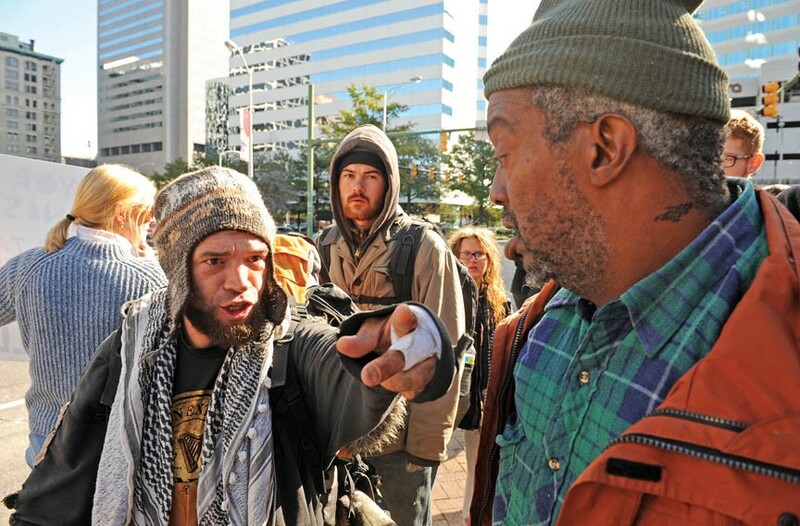 At least 9 protestors, including Schintzius, were arrested for violating the ordinance that prevents camping in the city's parks, Style Weekly confirmed Monday. After refusing to leave the park and provide their information to police they were taken to Richmond City Jail, Carino says. 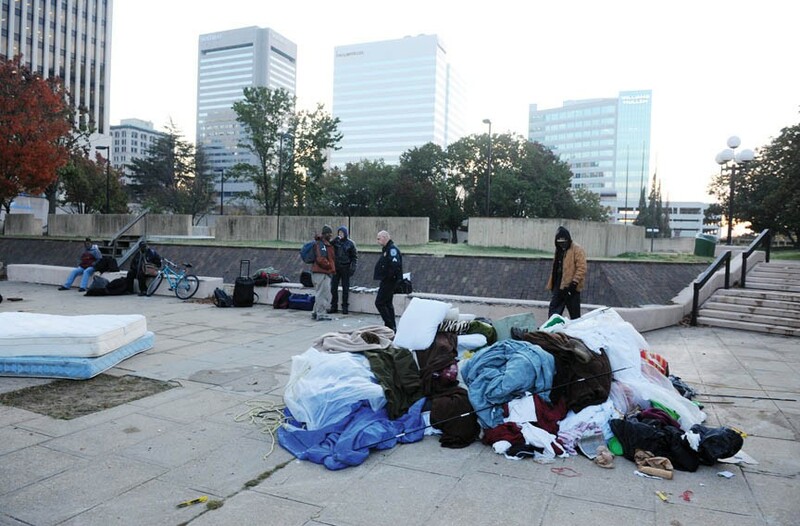 Hours later, the only evidence of the Occupy Richmond that remained were leftover tarps and nylon tents bulldozed into piles at the park's west end. But protestors were getting reorganized at sunrise.